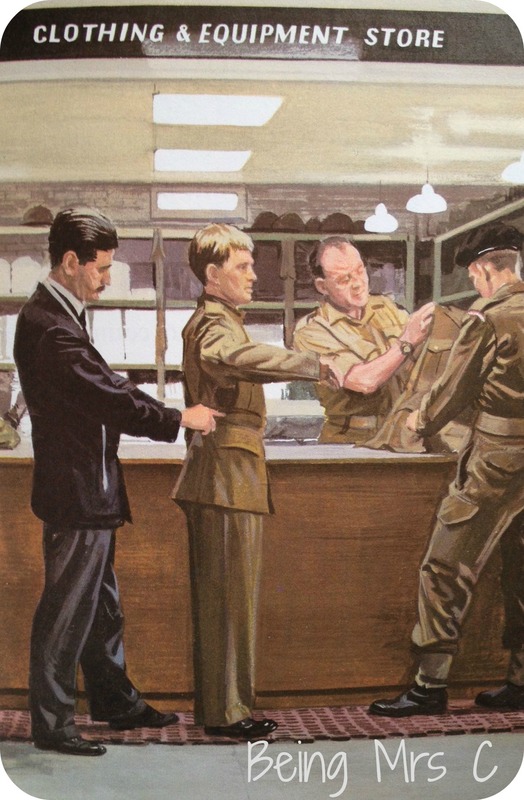 The Ladybird People at Work series (number 606B) has to be one of my absolute favourite ones, mainly as it just gives such a fascinating insight into what everyday life was like at the time. 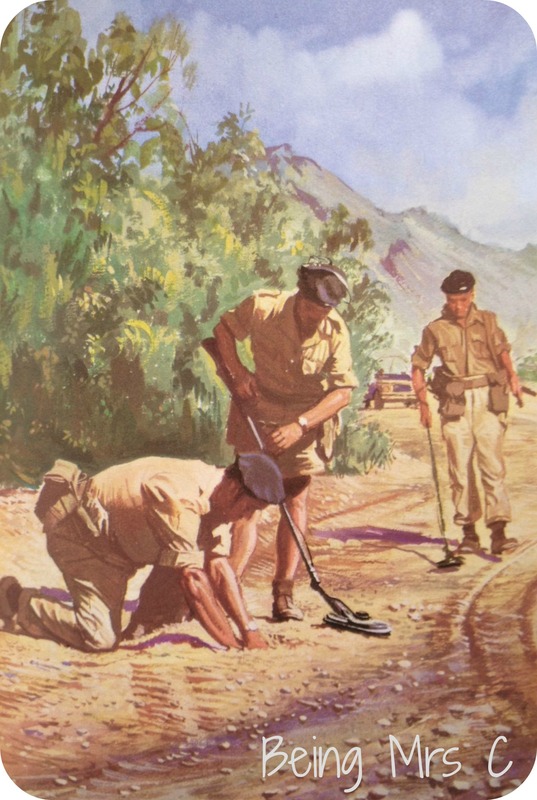 I find all the illustrations fascinating and they really are packed full of interesting facts – as well as a few sexist comments of the time! 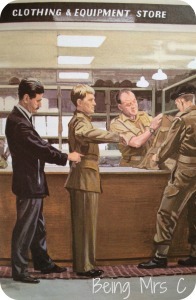 I’ve previously featured The Policeman, The Car Makers and In a Hotel on Ladybird Tuesday and if I had been planning more ahead I probably should have featured The Soldier in last week’s post – after all it was the 11/11 last week. 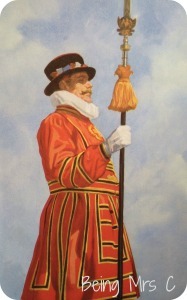 The role of a soldier is one which has fascinated young boys (and apologies, but for many years it was just young boys) for a long time. 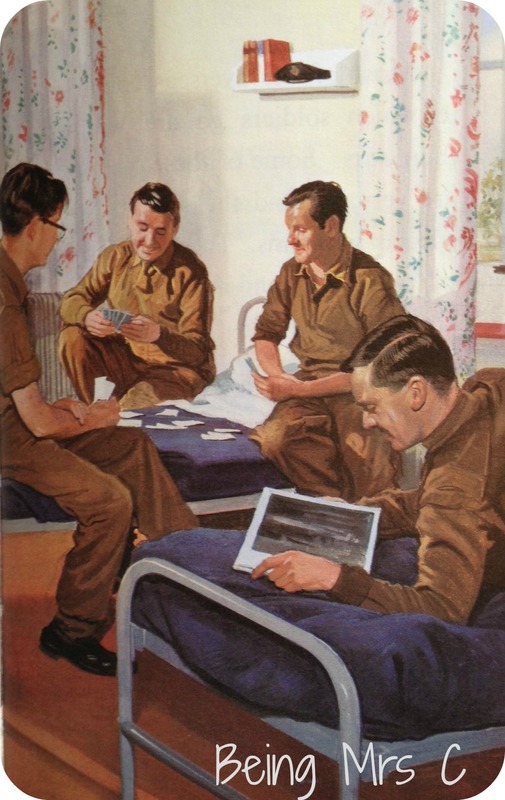 Certainly during the war and the years following it it was a common sight for children (again mainly boys) to play soldiers and be firing toy guns at each other and building models of tanks. With the change of the role of soldiers in modern warfare since then, and parents’ reluctance for their children to play with toy weapons, it’s not as common a sight as it once was, but I still think it fair to say that there are plenty of children who are fascinated by the role of a soldier. 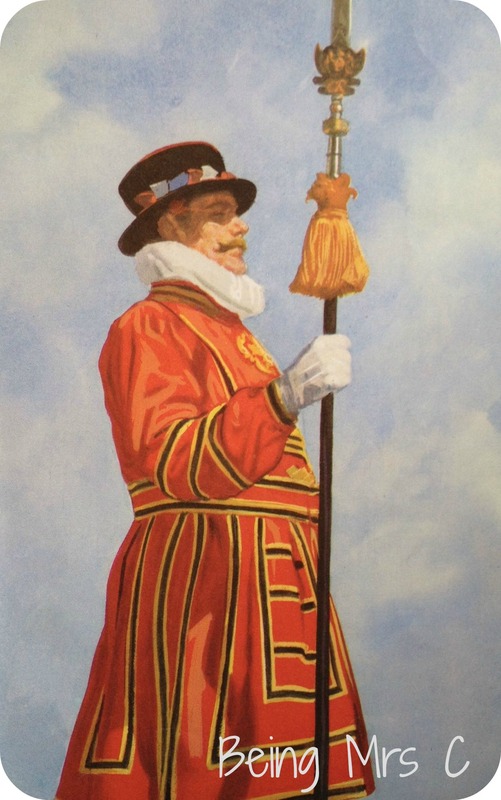 The Ladybird book The Soldier talks about how initially the only regular soldiers in the UK were the king’s bodyguard – the Yeomen of the Guard that we today see at The Tower of London. 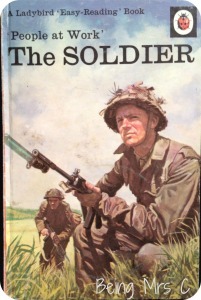 The role of soldiers had already developed by the time this book was written (first published in 1966) and there is a description of the different roles that men can take in the army – infantrymen, Royal Armoured Corps, Royal Artillery, Royal Engineers, REME, Royal Corps of Signals, Parachute Regiment, Royal Army Ordnance Corps, Royal Corps of Transport, Army Catering Corps, Military School of Music and the Royal Army Medical Corps. Some of these names have obviously changed, but reading The Soldier today still gives you a good idea of the wide range of roles and occupations that are covered by the Army – and I’m sure there are plenty more roles too as required. 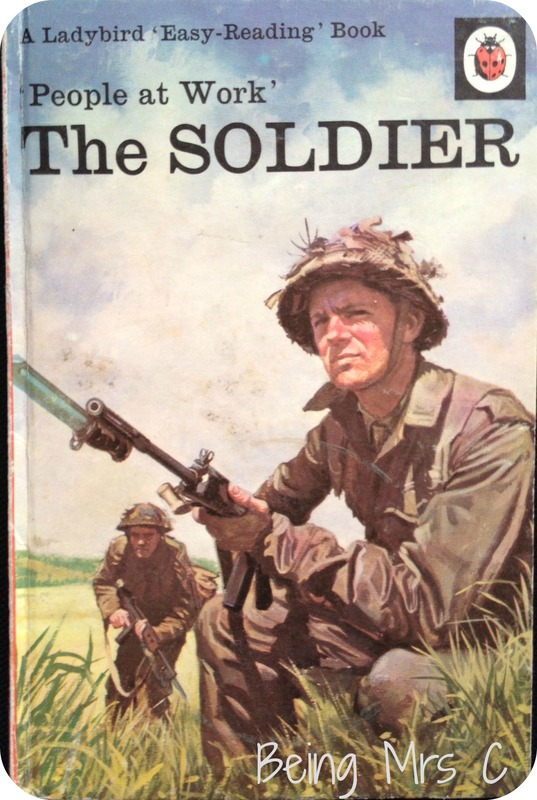 Most of this book deals with the different roles that soldiers undertake and it does therefore read a bit like a recruitment brochure for young boys. 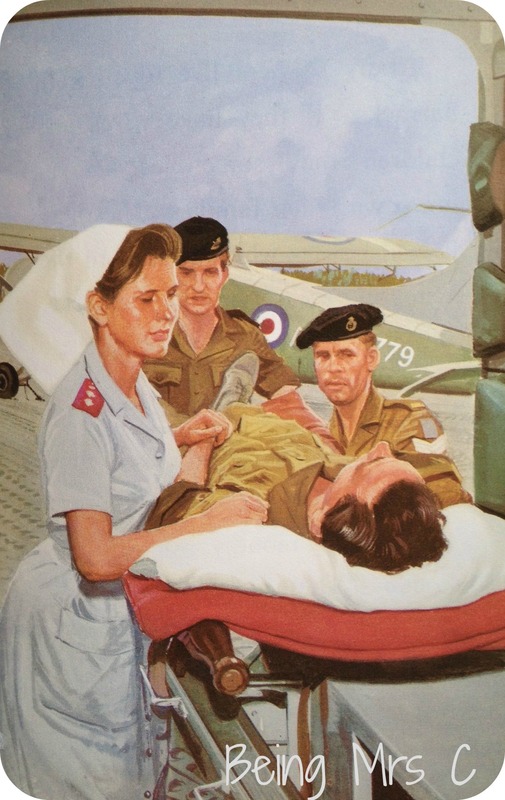 There is a small mention of how women can also become nurses in the Queen Alexandra’s Royal Army Nursing Corps, but other than that it only talks about men as soldiers. 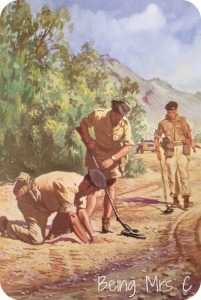 As with all Ladybird books of this era the illustrations are fantastic. 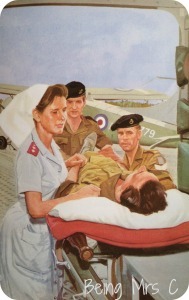 Drawn full of details by John Berry they once again give you a great glimpse of life at the time. I wonder just how true that is today in these times of defence cuts? Certainly a modern day version of this book would be a very different read.